ICESA - INNOVACION Y CONTROL DE LA ENERGIA S.A. Since its founding in 1990, ICESA has been active as a specialist in instrumentation and control in most of the cogeneration plants installed in Spain. In addition to the control systems and instrumentation required for the proper functioning of the plant, ICESA has always paid special attention to the systems aimed to measurement and registry of thermal energy used by the facility, that are used as a basis for calculating the Equivalent Electrical Performance. 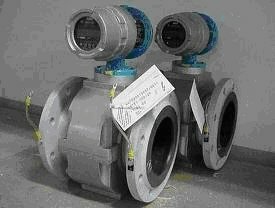 Flow meter (steam, water, condensate, hot gases, thermal oil, etc.). Auxiliary gauges for pressure, temperature (s), etc. necessary for the calculation of energy. Equipment for registration and visualization of instant and accumulated power. Design and selection of the most suitable measuring equipment, depending on the fluid, working conditions, and special features of the plant, including necessary spreadsheets. Supply installation of measuring equipment and display, counting and registration systems (if required), whether based on standard counting equipment, or PLC based systems. PLC-based systems can be adapted by its flexibility in any installation and fluid, and are programmed with preconfigured measuring blocks, pre-tested by ICESA, which contain tables of densities, enthalpies, and any other parameters required for calculation of energy. All equipment is provided with the corresponding mechanical seal that blocks all access to the configuration. Regular maintenance service and calibration of measuring and counting elements. ICESA has qualified staff and equipment necessary to perform periodic testing and calibration of measuring equipment and counting, and can issue the relevant calibration certificates. ICESA may offer computer applications that perform automatically data capture and calculations needed to calculate the Equivalent Electrical Performance using Excel, so that data is filled in the sheet without manual intervention. The emission data monitoring, processing and management system NeoEMI has been developed by ICESA to meet new technical requirements required by IT - 018, November 2010. At ICESA we constantly look for new professional profiles. Please send us your CV for future searchs.